Like no other filter system in the world. 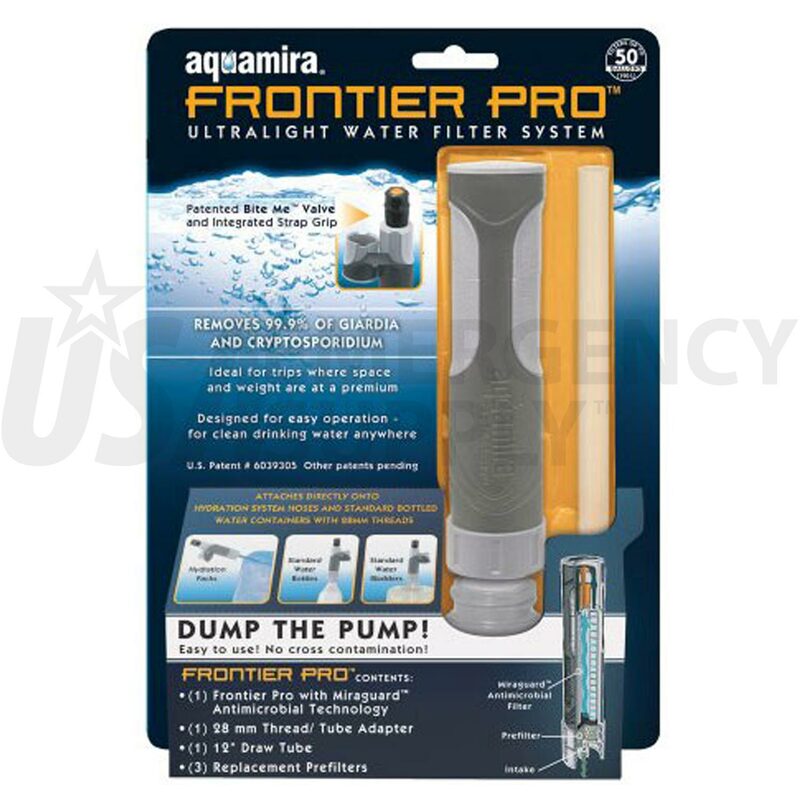 The designers at Aquamira have come up with the ultimate pump free filter system. We told our designers that there was something missing when it came to portable filtration devices. We wanted a small, compact, easy to use, filter that would compete with the "big boys." No pumps or tangly hoses to mess with, we just wanted the cleanest, easiest, most compact system in the world. With this in mind our designers considered multiple uses, the prevention of cross contamination, size, weight, ease of use, extended filter life, universal connectivity, as well as "hands free" gravity flow capability in the development of the Frontier Pro filter system. The result is a new concept in ultra-light, compact portable filtration that fits in the palm of your hand. Which is why we say "Dump the Pump!" Connect to almost anything, using the universal connectivity system. The Frontier Pro filter will connect directly to any water bottle with a 28mm opening such as a Platypus® or standard spring water bottle. Using the tube connection feature you can connect to the drink tube of your hydration system, or drink from any open container or water source. Since you drink directly from the unit there is no chance of confusing inlet and outlet tubes resulting in possible cross contamination. The Frontier Pro can also be set up in a "gravity flow" mode to filter water unattended while you pursue more enjoyable uses of your valuable outdoor time. Like a Frontier Filter on Steroids, the Frontier Pro filter boasts more than double the capacity of the original Frontier Filter with out doubling the size. The ultra-light (2oz. dry) and compact (6.75in3) design is less than half the weight and takes up less than half the space of a typical "pump" type filter system. 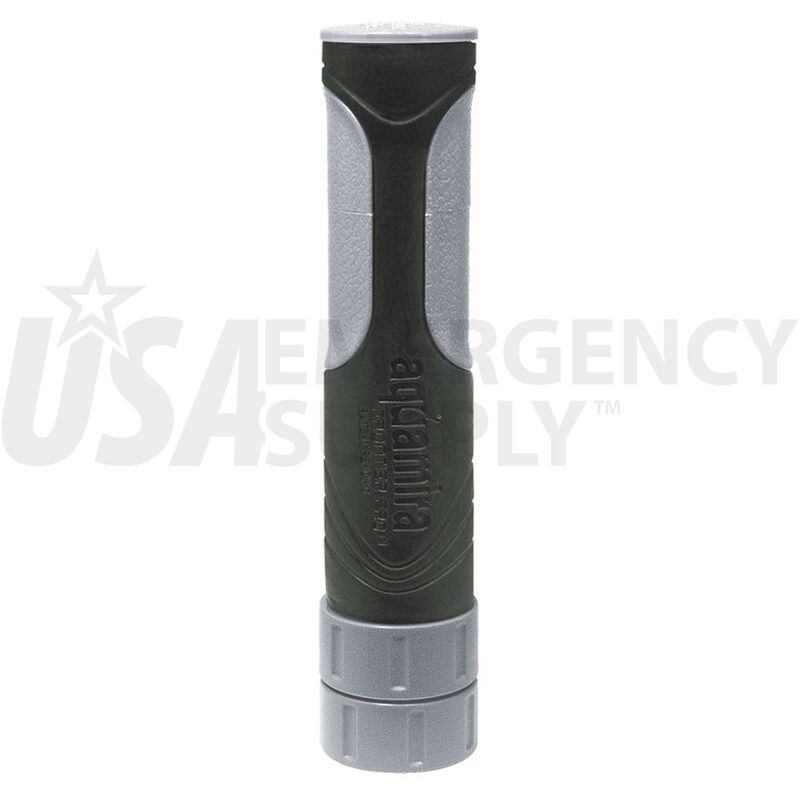 All of this performance in a package the size of a compact flashlight that fits easily into the smallest of pockets. Two step filtration is the key to making a high capacity filter system so compact and light weight. Increased surface area, flow control vanes, and the addition of our replaceable pre-filter disks allows the Frontier Pro to handle even turbid water without choking up. The replaceable pre-filter disk removes larger water bourn particles that would foul the microfilter quickly. Because extra disks are included with the Frontier Pro, they can be replaced or even "doubled up" to improve the life of the filter. The Aquamira porous plastic microfilter removes more than 99.9% of Cryptosporidium, Giardia. Only the finest quality coconut shell carbon is used in the production of the Aquamira micro filter to absorb chemicals, odors and improve the taste of the filtered water. Aquamira CR Grade filters have been tested and proven effective in removing Cyanotoxins such as Microcystin and other biotoxins. 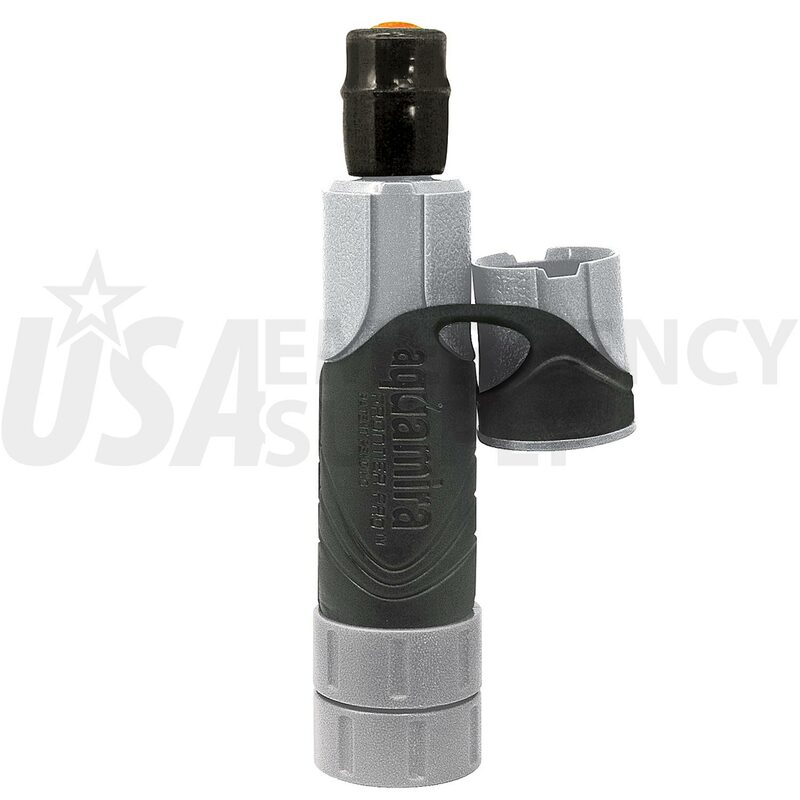 The "patent pending" design of the Frontier Pro filter system includes the unique Cap Strap™ cap system to retain the cap and protect the patented Bite Me™ valve from contamination along with providing a sure grip on the filter that fits comfortably in your hand. The filter casings are constructed of high impact FDA grade ABS plastic to assure long life even in harsh environments. The universal connectivity system allows connection to 28mm threaded bottles such as Platypus® and other light weight flexible bottles, and to any ¼" ID tube such as hydration drink tubes or the draw tube provided. You will be amazed that a filter this small can do so much.